EA knows that it has some much-loved franchises in its vault, but it also knows that it has to be careful how it uses them. EA says that it hasn't turned its back on its back on its classic IPs like Road Rash, Dungeon Keeper, or Populous, and that it is always on the lookout for opportunities to develop some of its more venerable franchises. EA Games Label boss, Frank Gibeau said that bringing back a classic franchise was always an option, but it was something that the publisher had to handle carefully. 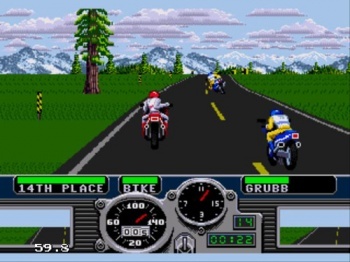 Gibeau had worked on Road Rash and Desert Strike on the Genesis, so he was very familiar with the classic library, but said that gaming tastes had changed over the years and that people wouldn't necessarily be satisfied with straight remakes or re-releases. He used the original GoldenEye as an example, saying that while he thought of it as being a great game, it very much showed its age when he went back to play it. While there's always the worry that remakes will detract from the original in some way, it's hard to ignore the potential in those classic IPs. A fierce and violent motorcycle race through crowded city streets in a new Road Rash game could be incredibly exciting, as could flying a helicopter into a warzone to rescue troops pinned down by insurgents in an unspecified Middle Eastern country in the reboot of Desert Strike.